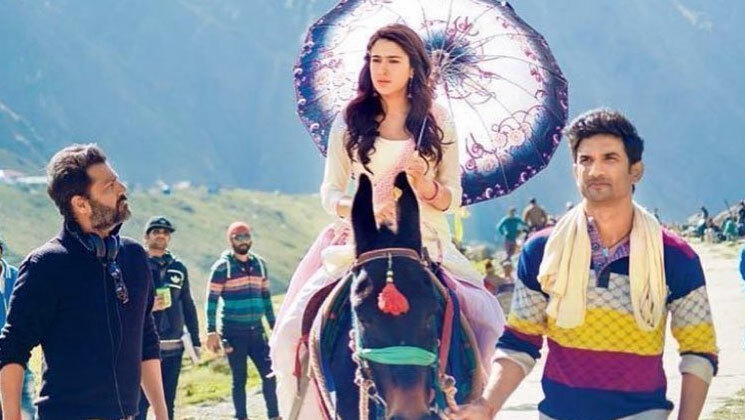 Sushant Singh Rajput and debutante Sara Ali Khan starrer ‘Kedarnath’ is one of the most awaited movies of the year but due to some legal issues, the movie was getting delayed. Finally, the makers have not only unveiled the teaser of the romantic drama but also shared the release date much to the excitement of fans. Sara had yesterday shared a poster of the film and also revealed that the teaser of the film will be unveiled today. No sooner was the teaser shared by the makers, the gorgeous debutante took to Instagram to share a picture with her co-star Sushant Singh Rajput which is a still from the film. The teaser revealed the sizzling chemistry shared by the lead stars and has left fans totally smitten with Sara‘s beauty. The movie is a love story woven around Sushant and Sara’s characters (Mansoor and Mukku) and is based on the background of the catastrophic floods that left the temple town of Kedarnath in a state of devastation. Directed by Abhishek Kapoor and produced by Ronnie Screwvala and Pragya Kapoor, the movie is all set to release on December 7, 2018.